“Everyone” knows that the future of the US economy depends on a well-educated workforce, and on a growing share of students achieving higher levels of education. But state spending patterns on higher education aren’t backing up this belief. Here are some figures from the SHEF 2017: State Higher Education Finance report published last month by the State Higher Education Executive Officers Association. The bars in this figure shows per-student sending on public higher education by state and local government from all sources of funding, with the lower blue part of the bar showing government spending and the upper green part of the bar showing spending based on tuition revenue from students. 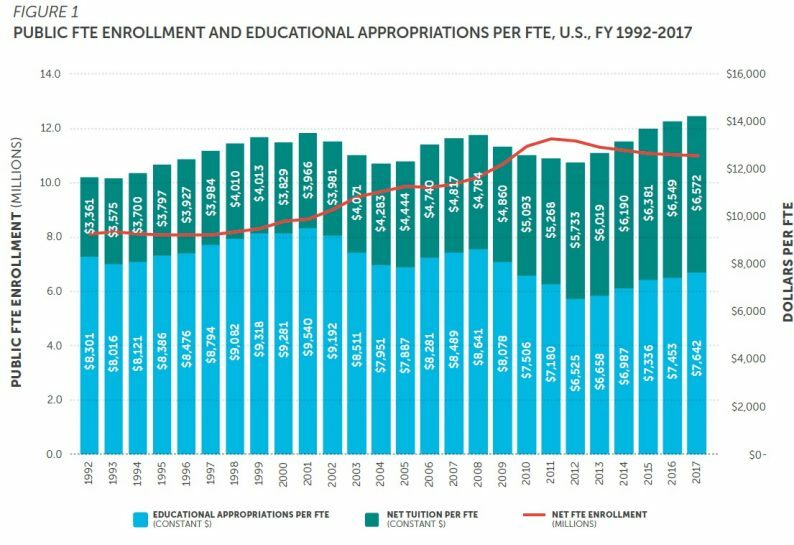 The red line shows enrollments in public colleges, which have gone flat or even declined a little since the Great Recession. 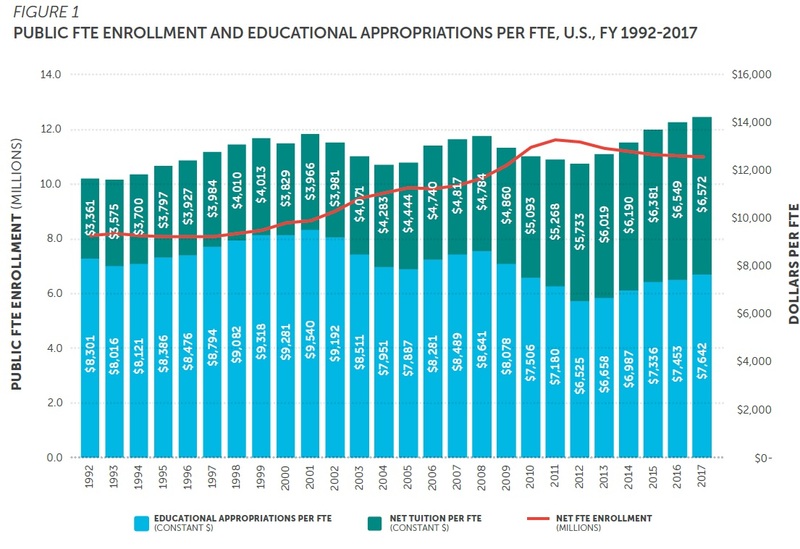 This figure clarifies a pattern that is apparent from the green bars in the above figure: the share of spending on public higher education that comes from tuition has been rising. It was around 29-31% of total spending in the 1990s, up to about 35-36% in the middle of the first decade of the 2000s, and in recent years has been pushing 46-47%. That’s a big shift in a couple of decades. 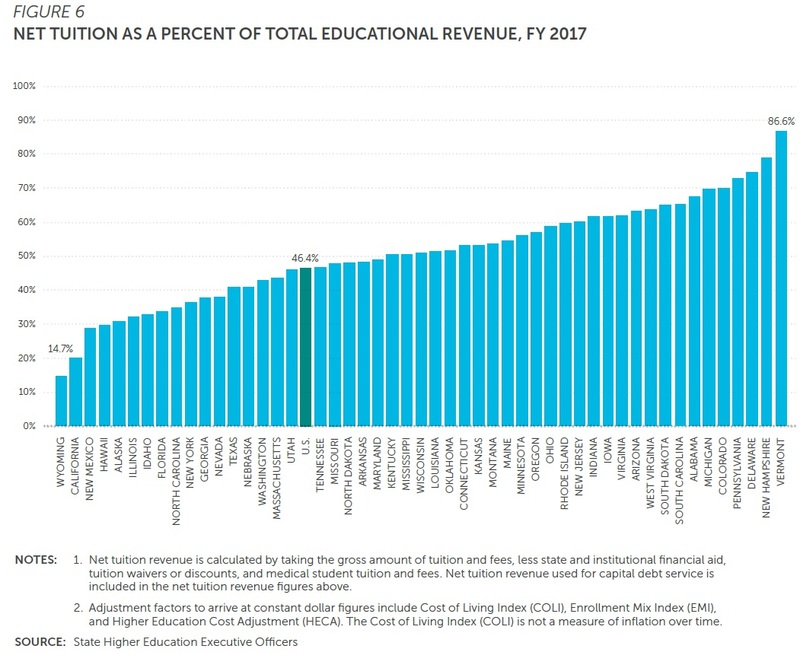 There are lots of issues in play here: competing priorities for state and local spending, rising costs of higher education, the returns from higher education that encourage students (and their families) to pay for it, and so on. 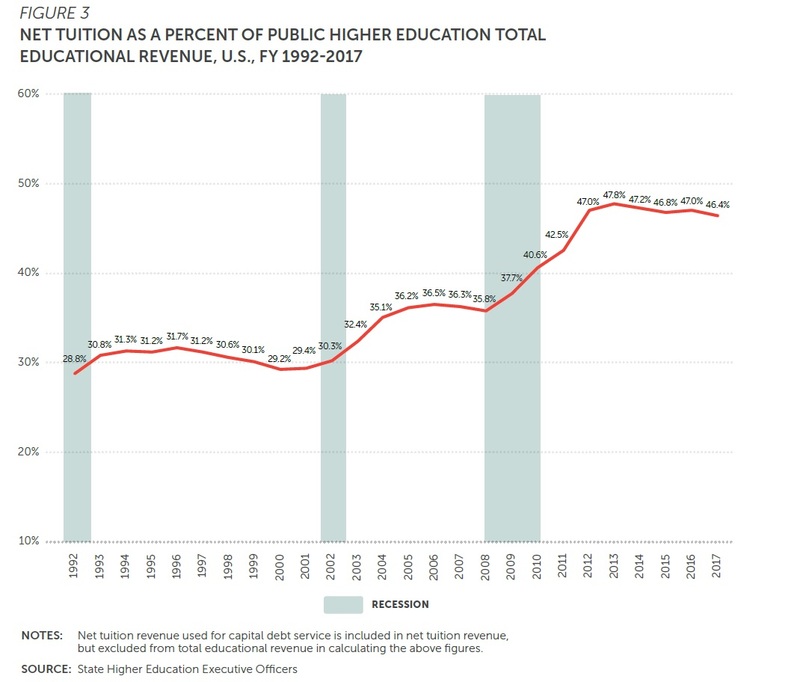 For the moment, I’ll just say that it doesn’t seem like a coincidence that the tuition share of public higher education costs is rising at the same time that enrollment levels are flat or declining. The Economics Of Higher Education: Why Does It Cost So Much?